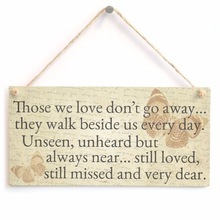 Those We Love Don't Go Away...They Walk Beside Us Every Day. Those We Love Don't Go Away...They Walk Beside Us Every Day. Unseen, unheard but always near...Still loved, still missed, and very dear.